Budget credibility describes the ability of governments to accurately and consistently meet their expenditure and revenue targets. This paper compiles raw expenditure and revenue outturn data for 74 countries using the most recent publicly available Public Expenditure and Financial Accountability (PEFA) reports. The analysis finds that, on average, aggregate spending projections are more credible than aggregate revenue projections; however, the average results hide great variation among countries. 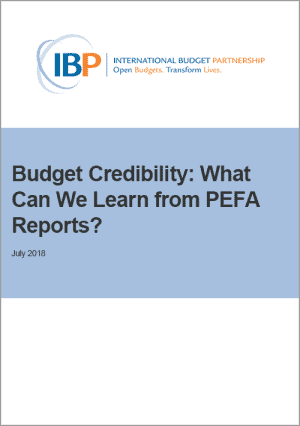 The analysis also examines explanations provided for budget deviations in PEFA reports and finds many explanations given are not sufficient.